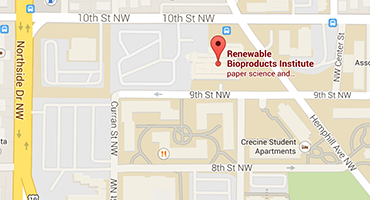 Pulp and paper mill and biorefinery industry leaders converged Nov. 13-14 at the Paper Tricentennial Building to help address challenges and present possible solutions to the issues of corrosion. 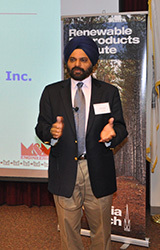 Preet M. Singh, RBI faculty member and professor, Materials Science and Engineering, organized the conference. While more than 1,000 years of collective experience filled the room, the industry continues to face serious challenges with the issue. Topics of discussion included: risk-based inspections; corrosion repair and protection of reinforced concrete structures; recovery boiler corrosion and cracking; dewatering with solid-coat technology; and materials selection for biomass thermochemical liquefaction and gasification systems. Singh said the purpose of the conference was to provide a networking opportunity for shared ideas and practical solutions.